1. What is the current status of Micromax Canvas 5? Micromax is a major player in the Indian Smartphone market known for making budgeted devices. 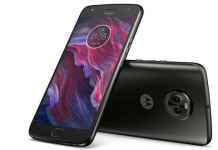 The company has now launched yet another affordable handset known as Canvas 5 which is said to be a successor of Canvas 4. 2. Micromax Canvas 5 is available in how many colors? The Micromax Canvas 5 is available in two elegant colors- Space grey and Tan brown. 3. What is the model number of Micromax Canvas 5? The model number of Micromax Canvas 5 is E481. 5. What is the megapixel of front and back camera of Micromax Canvas 5? The Micromax Canvas 5 carries the same units as its predecessor; it features a 13MP auto focus rear camera with LED flash. At front, you get a 5 megapixel snapper with LED flash. Canvas 5 comes loaded with some valuable features such as skin soften, skin smoothening, eye enlargement, skin sharpening and eye brightness. 6. What are the dimensions & weight of Micromax Canvas 5? The Micromax Canvas 5 is 148 mm in length, 73.6 mm wide and 8.5mm thick and it weighs 148 grams. 7. What is the screen size of Micromax Canvas 5? The Micromax Canvas 5 flaunts a huge 5.2 inch with a resolution of 1920*1080 pixels and pixel density of 423ppi. The screen is protected by a layer of Corning Gorilla glass 3. Overall, the display looks crisp and bright. 8. What is the display color resolution of Micromax Canvas 5? The Micromax Canvas 5 has a FHD display with 1920x1080of pixel resolution, 2.5D coating and 423 ppi of pixel density along with 16M color resolution. 9. What is the battery strength of Micromax Canvas 5? Powering the Canvas 5 is a Li-po 2900mAh non removable battery which is claimed to deliver 10 hours of talktime on 3G networks along with 275 hours of standby time. 11. 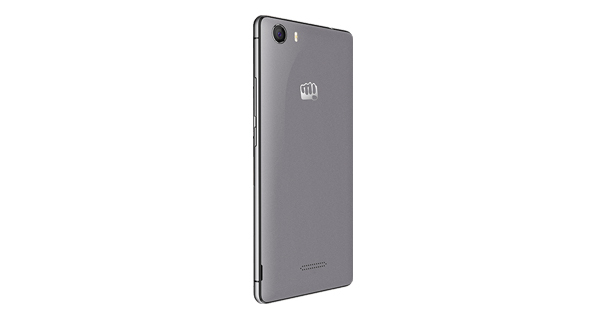 How much internal storage Micromax Canvas 5 carries? The Micromax Canvas 5 is available with 16GB of in-build storage out of which user gets a free space of 14.83GB. One can further expand the memory up to 64GB via Micro SD card. 13. What is the maximum amount of storage available in Micromax Canvas 5? 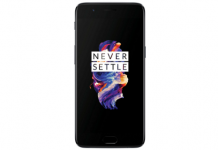 The Maximum storage of the device is limited to 64GB only. 14. How much RAM does Micromax Canvas 5have? The Micromax Canvas 5 is fuelled by 3GB DDR3 RAM and out of which only 1.8GB is free for the user. 15. On which type of processor does Micromax Canvas 5run? The Micromax Canvas 5 is powered by a 64-bit Octa core Mediatek MT6753 processor with 450MHz Mali-T720 GPU Clocked at 1.3 GHz. 16. Micromax Canvas 5 runs on which operating system? The Micromax Canvas 5 runs on stock Android 5.1 Lollipop out of the box and it will get a Marshmallow 6.0 update in later future. 17. What are the special features of Micromax Canvas 5? 18. 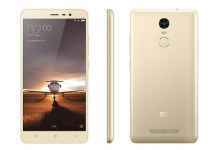 Is Micromax Canvas 5support 2G, 3G and 4G? Yes, it does support 2G, 3G and 4G LTE networks with LTE FDD 850MHz/1800MHz and TDD 2300MHz 4G band support for India. To execute to the connectivity needs of the user, it comes with dual SIM slots, bluetooth 4.0, Wi-Fi 802.11b/g/n, GPS and 3.5mm audio jack. 19. What are the negative aspects of Micromax Canvas 5? 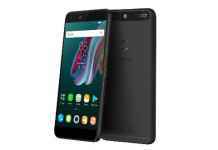 The Micromax Canvas 5 looks a value for money Smartphone but it does come with some flaws like the battery is non-removable, the build of the device is impressive and cameras are also not up to the mark the as expected. The non availability of Snapdragon chipset, lower battery backup is some of the negative aspects of the budgeted device. 20. How many sensors do Micromax Canvas 5supports? The Micromax Canvas 5 supports light, gravity, Magnetic and proximity sensors. 21. What type of SIM Micromax Canvas 5supports? The Micromax Canvas 5 supports Dual Micro Sim cards. 22. Which are the alternatives available for Micromax Canvas 5? 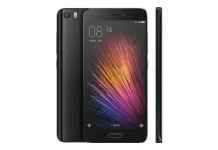 In Indian market, it will lock its horns against Xiaomi Mi 4i, Motorola Moto G (3rd GEN), Lenovo K3 Note and Samsung Galaxy J5. 23. Does Micromax Canvas 5 support FM? Yes, Micromax Canvas 5 supports FM radio in it.